Why is RANCH so, so good? On my salads, I am a devoted Thousand Island girl who has a wild fling with Caesar every once in a while. On everything else, I will choose ranch. I will admit that in one lonely, dark hour, I was sitting in my apartment eating carrots dipped in ranch and I spied some pretzels. One thing led to another and next thing I knew, I was eating pretzels coated in, licked clean, then once again dipped in ranch dressing for dinner. Don't even get me started on Outback ranch dressing. There just aren't words to describe how good that stuff is. What do they put in it, crack? Either way. Father, forgive me. And stir in a packet of ranch dip: And prepare to jump in head first. I do believe I first read about this on Pinterest, but it could have just as easily been in the Bible somewhere because a healthy ranch dip has got to be a byproduct of the heavenly host. Besides, isn't it in the Constitution by now that we're supposed to have a certain amount of Greek Yogurt every day? Don't mind if I do! PS - is yogurt always an acceptable substitute for sour cream? Try it and let me know what you think! 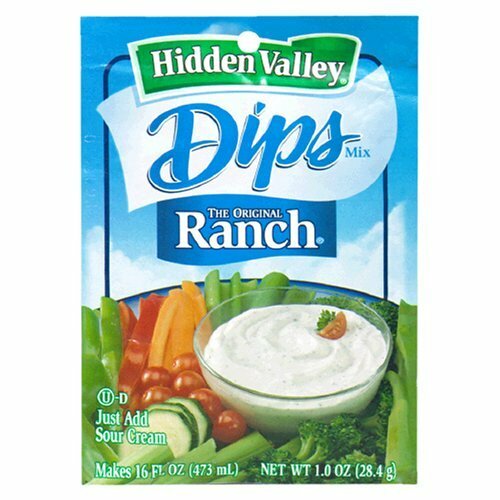 That dry dip mix is in the dressing aisle, btw. I am a ranch person too, It goes great with everything right?! I will def try the yogurt combo, thanks! 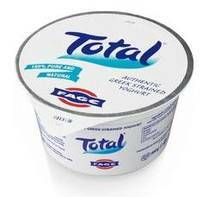 Throw some lime juice into the yogurt/ranch packet mix.... it's delish on taco salad. Or pretzels.